This years marked the fifth year of the model show and the third year that we have had a club stand there. The weather was cool due to the strong breeze but it remained sunny and dry for the weekend. It was a chance to meet up up with some old friends and make new ones and look at some of the interesting new boats on show. One welcome addition to the trade stands was Component Shop with all his usual range of bits and pieces which now includes brushless motors and speed controllers. The outstanding star of the show which attracted the most spectators was Peter Lockhart’s surfer ‘Helga’ who raced through the water doing her many stunts and tumble turns although Peter did admit she still needs a little tweaking! (We’ll see what Sue has to say about one) She currently has pride of place on the website home page. 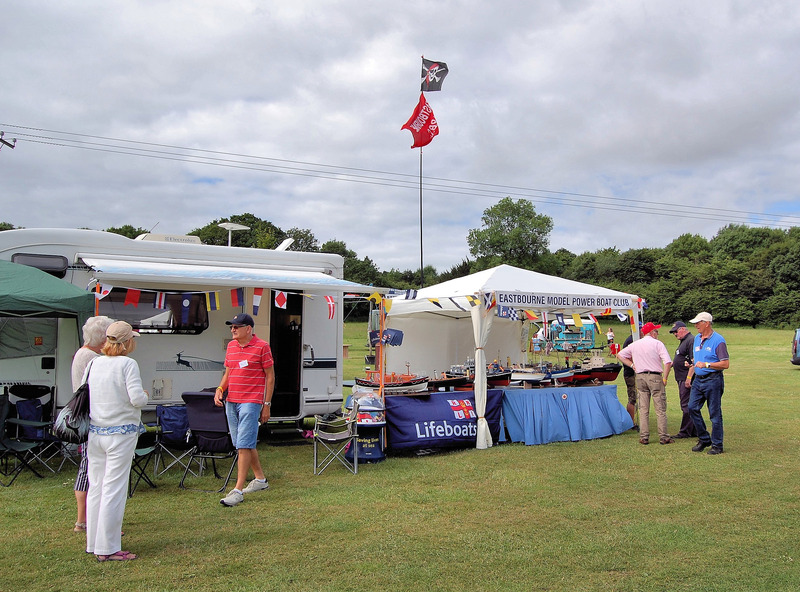 The club stand was very well supported and I would like to thank the 19 club members who came along and manned the stand during the weekend and supplied the cakes which helped to raise £56 for the Eastbourne lifeboat. You can see the more pictures from the event in the gallery.